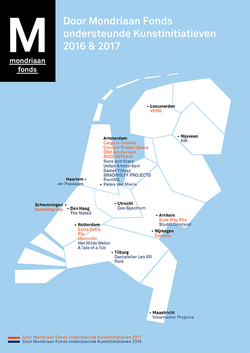 We are very proud that Satellietgroep is one of 11 art initiatives to receive funding from Mondriaan Fonds. We warmly thank Mondriaan Fonds and congratulate our colleagues Cargo in Context (Amsterdam), Corridor Project Space (Amsterdam), DNK Amsterdam, Expoplu (Nijmegen), Extra Extra (Rotterdam), Rib (Rotterdam), ROZENSTRAAT (Amsterdam), Suze May Sho (Arnhem), Upominki (Rotterdam) & VHDG (Leeuwarden). 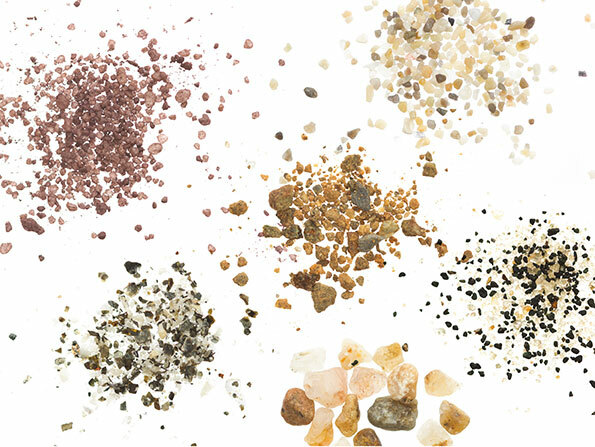 We warmly invite you to join Atelier NL’s upcoming symposium ‘The Abundance and Scarcity of Sand’ during Dutch Design Week 2017 to examine sand from geological, ecological, artistic and social perspectives. The evening will unite artists, designers, scientists, environmentalists, and the local community to participate in lectures and in-depth conversation regarding the environmental challenges and potential solutions surrounding sand. The symposium is dedicated to the memory and passion of Michael Welland, British geologist and author of the award-winning book ‘Sand’, who had a profound poetic understanding of life and the natural world. He was the man who inspired and guided us to set up this symposium. He would have loved to be here with us in person, but he will never leave us in spirit and neither will his words. Keynote speaker Denis Delestrac, award-winning filmmaker and director of Sand Wars (2013), will kick off the conversation. The lecture that Michael Welland prepared for the evening will then be read in his honor. Followed by conceptual artist, curator and community creator Jacqueline Heerema of Satellietgroep, who will share her perspective on the Culture of Nature, the Zandmotor and more. The evening will conclude with a timely panel discussion featuring Marcus Fairs, founder of Dezeen, Mindert de Vries (Deltares) on behalf of the Waddenacademie, Winy Maas (MVRDV) and Lonny van Ryswyck (Atelier NL). Isolde Hallensleben will host the evening, starting the dialogue with everybody involved. Location: the beach near the Zuiderstrandtheater in The Hague, dresscode outdoor! Image: work in progress by Lina and Mayar for 'A ticket to Atlantis' at Scheveningen. 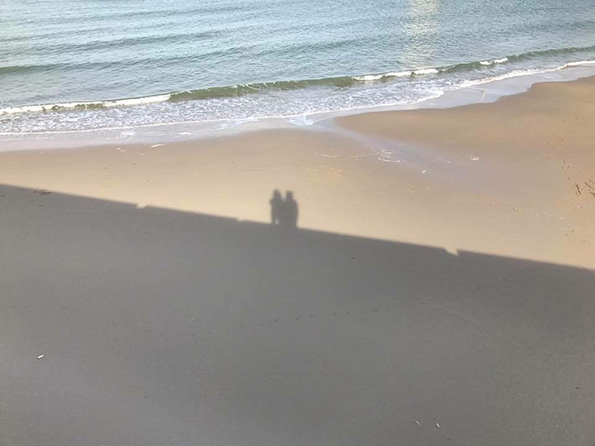 The site-specific performance 'A Ticket to Atlantis' is presented during Dancing On The Edge Festival, 8-12 Nov at 16:30, on the beach with after talks. The traveling installation 'The Atantis Project - A Sea of Stories', from 8-18 Nov, shares the narratives collected during the research and aims at spreading them again. With special thanks to all participants! Long term projects are 'Badgast' - artist in residency program at The Hague/Scheveningen (2009-2014), 'Now Wakes The Sea', the international exchange residency program in collaboration with international cultural partners (since 2012). Since 2014 Satellietgroep develops the first artistic research on the Zandmotor, the newest innovation on coastal protection, called Building with Nature. In these programs artist in residencies are used as a research method to enable artists, designers, students and scientists to do fieldwork and to work on site with local partners, coastal communities and experts in order to map out and research the current status of coastal transitions and to generate new narratives and perspectives. The programs function as an alternative source for collecting. New concepts and works are developed that we connect and contextualize with reference works for public events like expeditions, exhibitions, workshops and presentations at expert conferences, often outside the artistic domain. Artist in residents are invited to critically explore and visualize the zones of coexistence of man and water and reveal different perspectives. By interconnecting coastal communities, arts and science we share local knowledge on global level to gain sustainable insights on coastal transitions that transcend local and national issues.